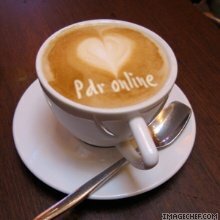 Welcome to the PDR Online company affiliate program, this is where you and your company can benefit from the fantastic new software that is PDR Online training software. Do you have your own training videos about PDR, or maybe you run your own PDR school or even sell your own tools, then PDR Online training can enhance your business. STEP 1 -- Sign up with us, and receive a special URL to our site. STEP 2 -- You send visitors to our Web site though that URL, or send them directly to the order page. You may use PDR Online logos, screenshots, and 'youtube' related videos to “warm up“ the visitors so that they arrive at the PDR Online site with an open to buy frame of mind. In other words, you "PREsell" and then, we "sell" PDR Online. STEP 3 -- We identify and track those visitors (via that URL and a proven cookie/database-driven system) as belonging to you. STEP 4 -- If they buy PDR Online (now or within the next 10 days), you get a commission. STEP 5 -- (And this is the best part) We pay you. Use Pdr Online to help teach your students, or use it as a Pre- training tool. Because PDR Online only wants to be associated with other quality PDR products and services we require you to fill out the form below, and after personal evaluation you will receive an email from us with the next step.